Glutamine is the most abundant amino acid in skeletal muscle and supplementing with MAMMOTH GLUTAMINE greatly aids in the muscle recovery and repair process. Other benefits include the support of digestive health and immune function after periods of stress such as weight training. 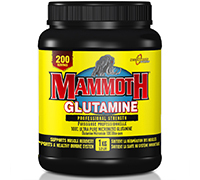 MAMMOTH GLUTAMINE is a welcome addition to any comprehensive supplement regimen. Helps restore plasma glutamine levels, support immune system health and support digestive system health after periods of physical stress. Adults: Take 1 rounded teaspoon (5 g) daily. 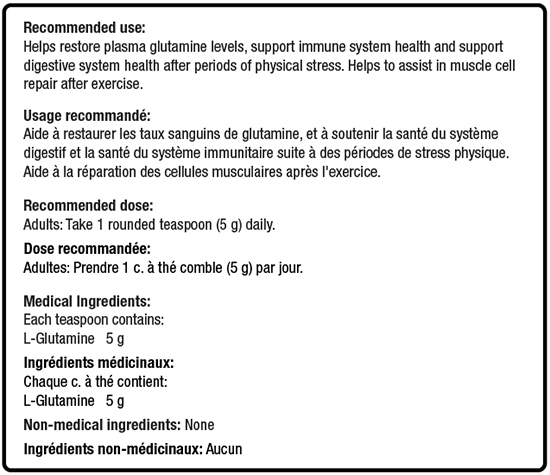 Medicinal ingredients: Each teaspoon contains: L-Glutamine 5 g.